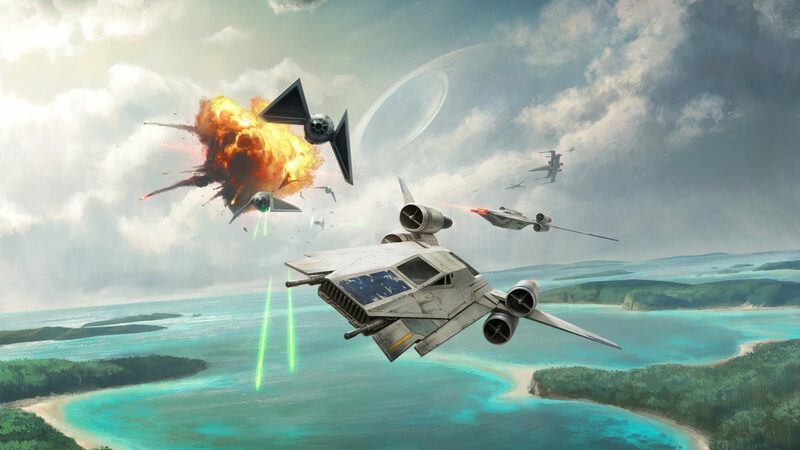 StarWars.com speaks with Fantasy Flight Games about bringing the U-wing, TIE striker, and more to the hit game. Rogue One ships join the ranks of the X-Wing Miniature Game today, but their arrival has been a year in the making — a journey from sketch pad to store shelf that included in-depth discussions on aerodynamics, the kind of fine detail that could only be rendered with a special dental-grade printer, and practice runs among game testers that smacked of Rebel-spy activity. For the first few months of the production process, the names of the new ships and characters, their significance to the franchise or other details had to be kept secret even from some colleagues inside Fantasy Flight Games, where the game is produced, designers say. That meant those early test players, an integral part of the process to work out kinks and answer unanticipated user questions, got an early but limited glimpse at the new fleet. Designers assigned code names to ships and heroes, and the actual models were kept under wraps, swapped out for printer-friendly stand-in cards and tokens. 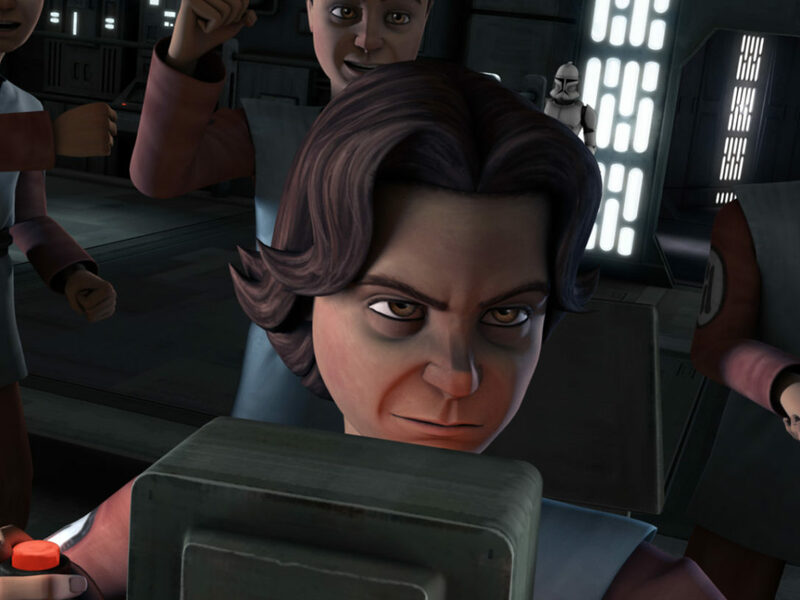 Players staffing their crews with the Huntress would later learn the character was actually Jyn Erso. Her Rebel U-Wing fighter? Code name: Scissors. But sculpting manager John Franz-Wichlacz’s favorite among the new miniature squad may just be the aptly named “Batwing,” also known as the TIE striker, an all new Imperial starfighter with a pair of moveable, forward-facing wings. 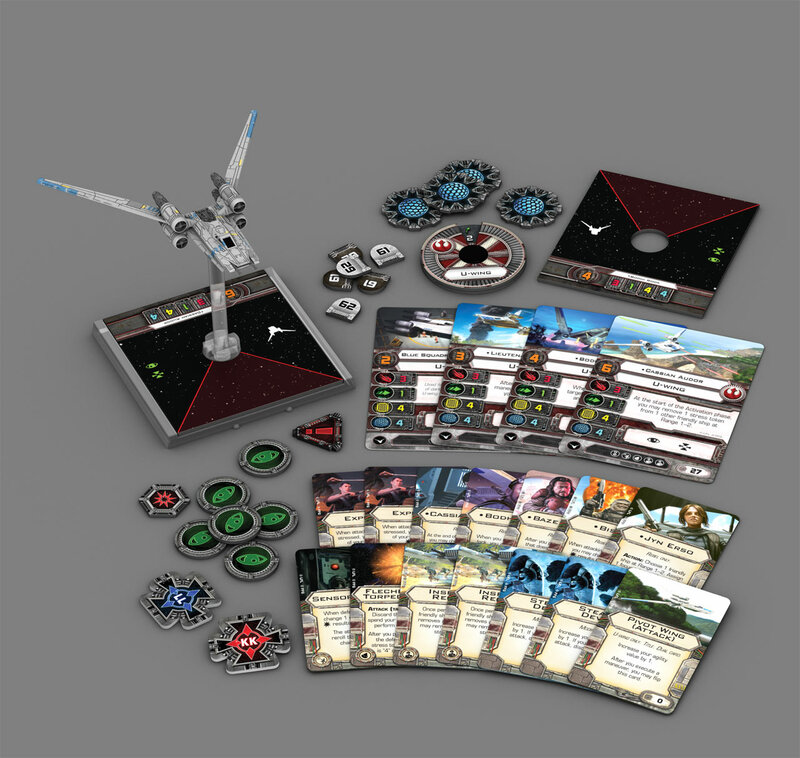 For the uninitiated, the X-Wing game is a tabletop-style RPG that puts players in the role of squad commander choosing between Imperial ships and Rebel pilots to wage fierce space battles. The miniature fleet is already populated by almost 60 ships, from standard TIE fighters to more iconic ships like Slave I and the Millennium Falcon. 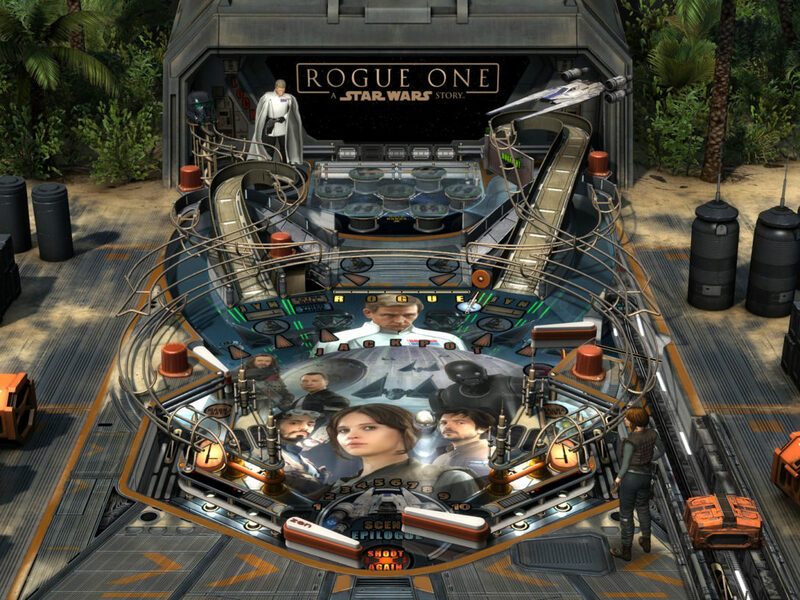 Players choose from an original trilogy-era core set, including Luke’s X-wing, or a starter pack of ships from the First Order generation shown in The Force Awakens, to launch the game play. It’s a format that allows minimum investment, about $60 to start and no hours spent custom painting figures before playing, says John Shaffer, miniatures manager for FFG. 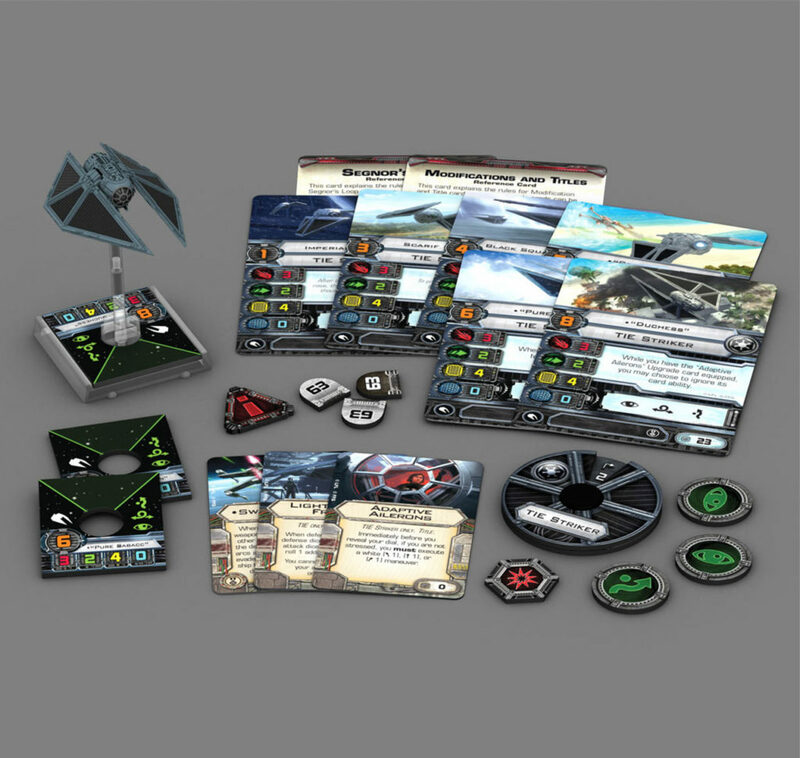 “A large part of the success of X-Wing is you can just open up the packs and get right to playing.” Players can either choose to remain canonical and use Rogue One ships with only the original core set, or switch it up with ships from across the spectrum, including Sabine’s TIE fighter from Star Wars Rebels in the next wave. Shaffer and the rest of the team at FFG take their job seriously. “We’re one of the few people out there actually creating a catalog of ships,” he says. “It’s becoming a pretty thorough resource” including vehicles from the extended universe, and older, more obscure ships. 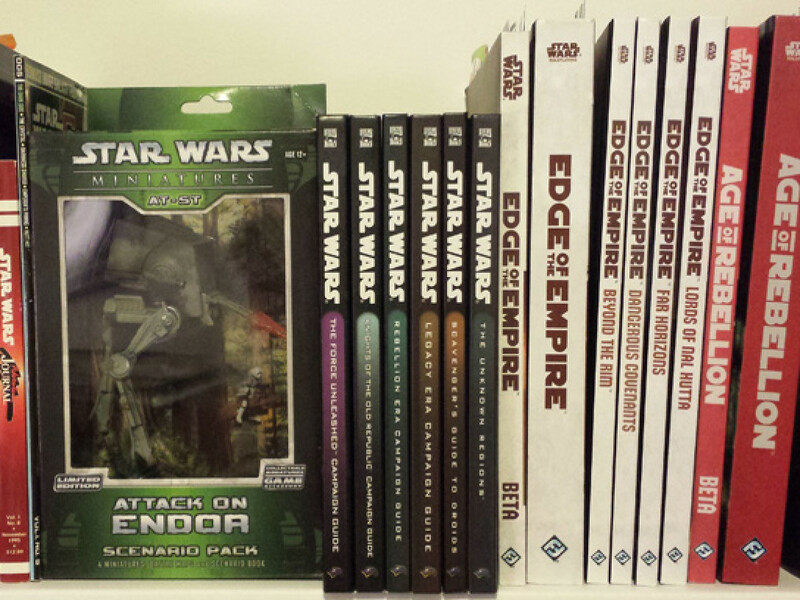 Designers have about a year to take ships from concept to the shelves of toy and hobby shops, using sketches and art from Lucasfilm as maquettes, descriptors like “reckless” to help inform character cards, and working closely with the company to perfect the look and abilities of each, which must be represented accurately in its gameplay movements. “Tweak this, tweak that. It’s a back and forth process that’s relatively smooth considering how detailed everything needs to be,” says Franz-Wichlacz. For the TIE Striker and the U-Wing, he started with a side-by-side references with other FFG ships to ensure the final miniature would blend seamlessly into the existing squadron. Once the size has been approved, designers get down to the fine details using model-building software and begin printing prototypes and testing how the ships can be incorporated into the game, including writing new rules of the ships actions and movement and creating crew members. 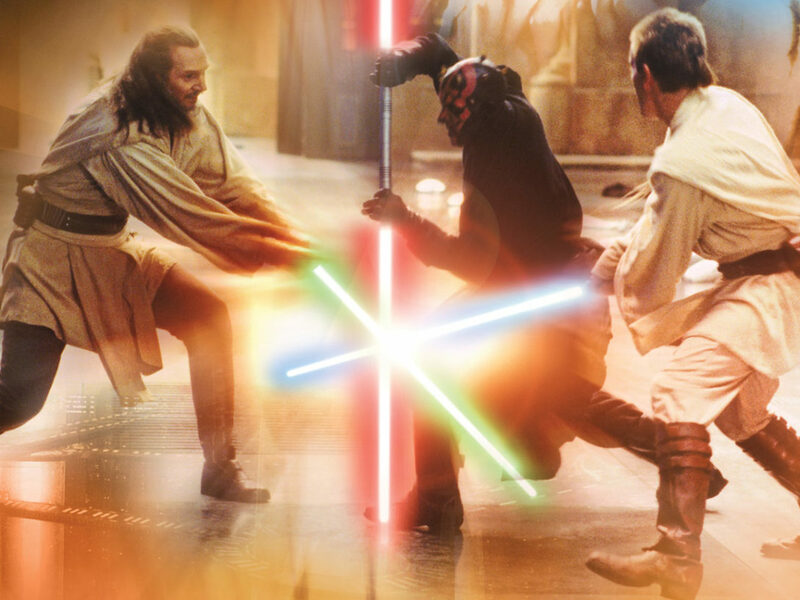 The ships must operate within the game just as they would in the Star Wars universe. “If we get that wrong we’ll never hear the end of it,” Shaffer says. 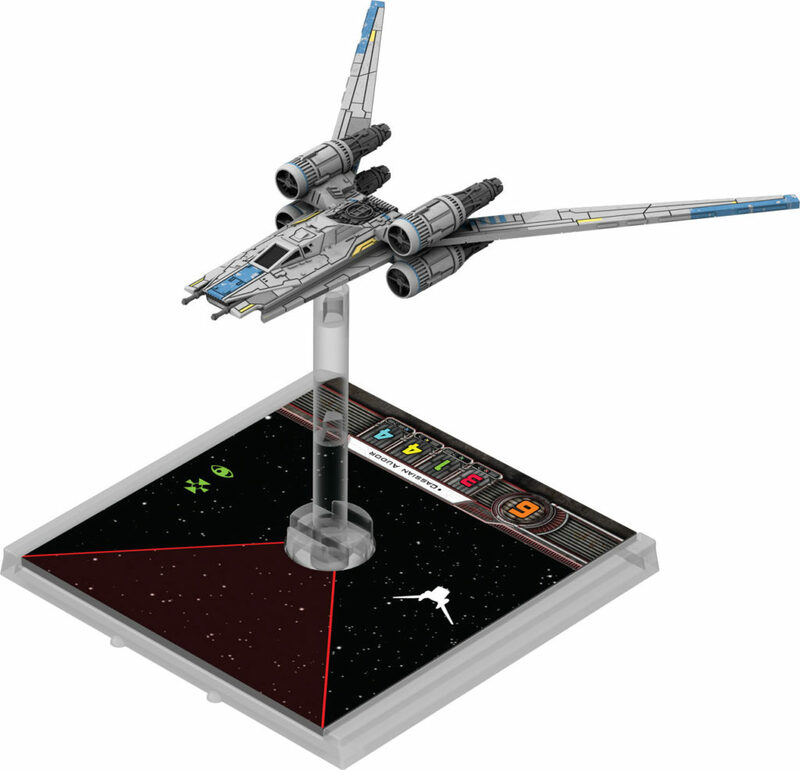 Shrinking any Star Wars ship down to meet the X-Wing game’s 1/270th scale is a challenge. The sculptors pride themselves in capturing immaculate detail, with some minute characteristics rendered as small as .2 mm across. Prototypes are printed on dental-grade printers to capture those minuscule aspects in three dimensions. 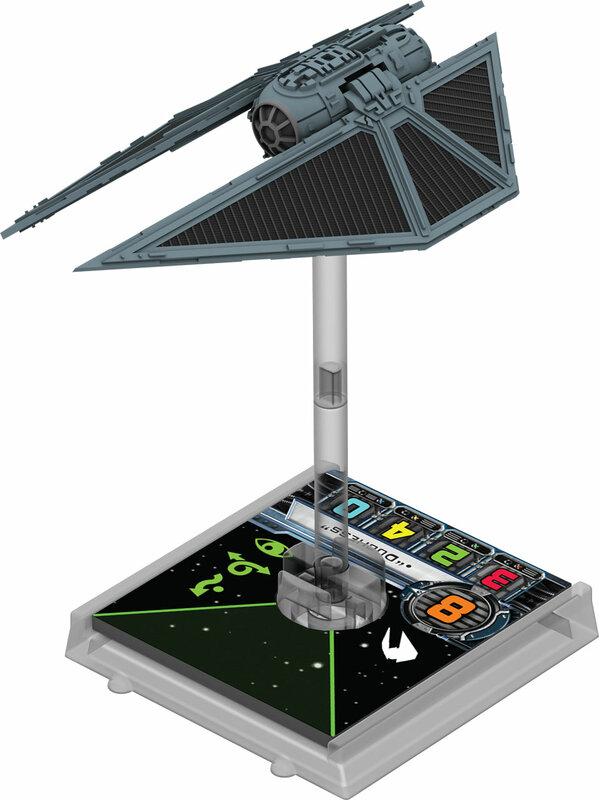 With the TIE striker, the wings of the actual ship, as it appears on film, are covered with thousands of tiny pyramid-like solar panels to provide the proper texture, Franz-Wichlacz says. But there’s a tipping point where precision can work against the overall presentation, Shaffer adds. 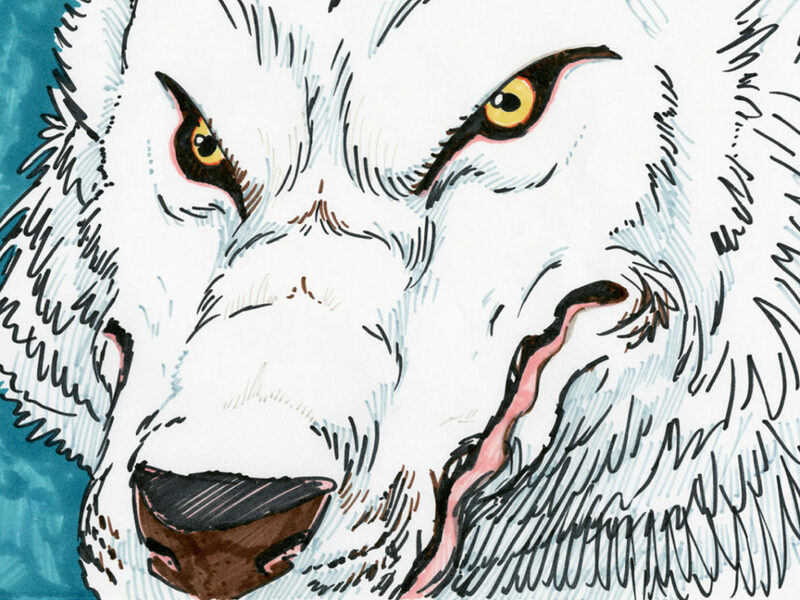 “If we did the actual number (of panels) at the scale you wouldn’t get any detail. It would get lost,” Franz-Wichlacz adds. On this size, the naked eye would register those thousands of bumps as little more than an abrasive surface. To compensate, Franz-Wichlacz tweaked the design. “If you really look at the solar panels on the wings, they’re actually hundreds of tiny little pyramids on the surface,” instead of thousands. It’s part of the give-and-take of balancing a realistic look with the smaller size. 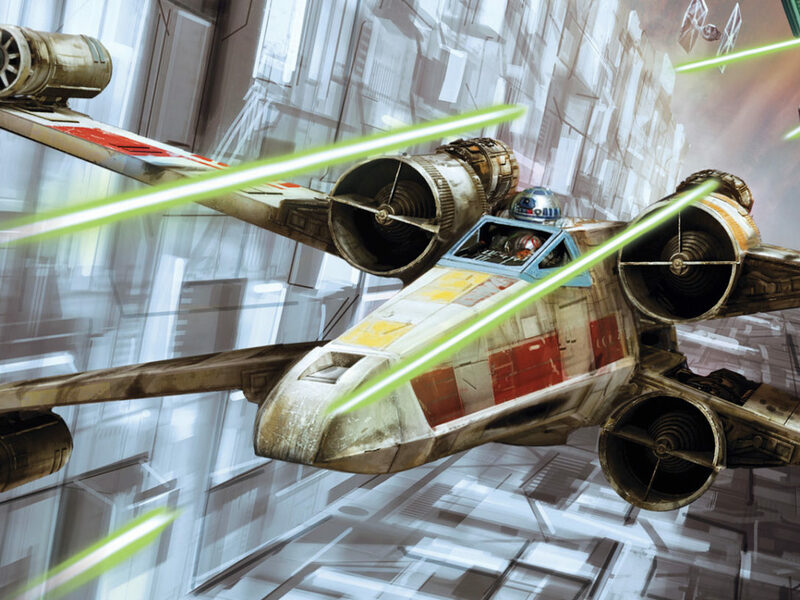 For the U-wing and the TIE striker, designers decided early on to experiment with moveable wings to stay true to the movement of the ships on film. Early sketches of the U-wing showed the wings open and closed. “We went back and forth on whether or not to make them move,” says Franz-Wichlacz. The two Rogue ships are also used more in the atmosphere than previous starfighters, leading to conversations among the design team about aerodynamics beyond deep space. “They look a lot more like fighter jets,” Shaffer says. X-Wing will keep evolving and expanding — look for Kylo Ren’s shuttle and the Quadjumper from The Force Awakens in Q1 of 2017. 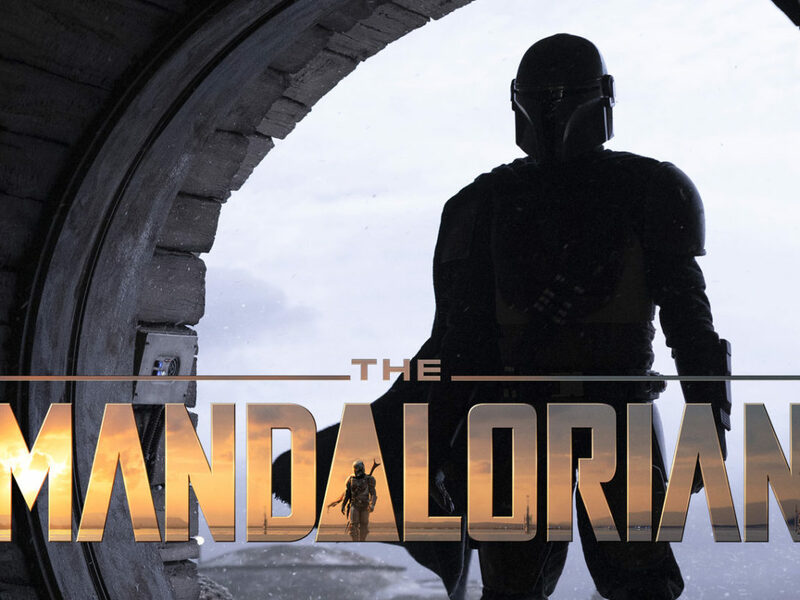 Having a hand in the creative process has been an honor for Shaffer and Franz-Wichlacz, fans of the franchise since the 39-year-olds saw Return of the Jedi in theaters during its original release. 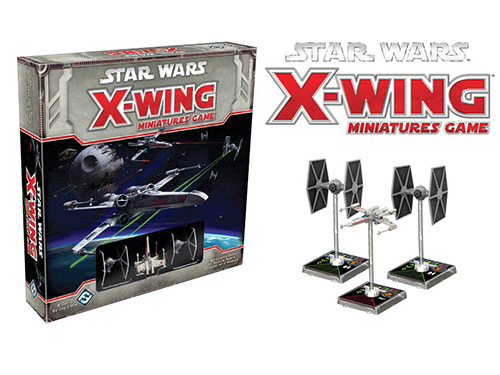 Since its release in 2012, X-Wing has generated its own loyal following. “The game has really blown up,” Franz-Wichlacz says, speaking during a break at FFG’s World Championship X-Wing Tournament, near the company headquarters just outside Minneapolis. 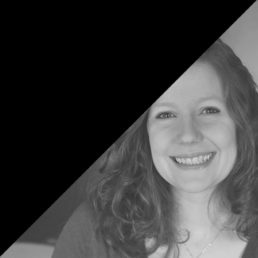 Kristin Baver is a writer and all-around sci-fi nerd who always has just one more question in an inexhaustible list of curiosities. Sometimes she blurts out “It’s a trap!” even when it’s not. Follow her on Twitter @KristinBaver.